Show big bad business who's boss and reopen the family bakery. "I love the Cake Mania games. They are repetitive; but, if you like time management games, they are fun. Even though I've mastered every level and played a million times, I still go back every now and again to see if I can tweak the routine a little more to nudge my score up a few more points. " Show big bad business who's boss in this fast-paced treat. When the retail behemoth Mega-Mart moves in, Jill's beloved family bakery is forced to close. But she's determined to get the business back on its feet with delicious sweets. Help Jill open her own bakery, bring in customers, and earn enough money to reopen her grandparents' bakery. 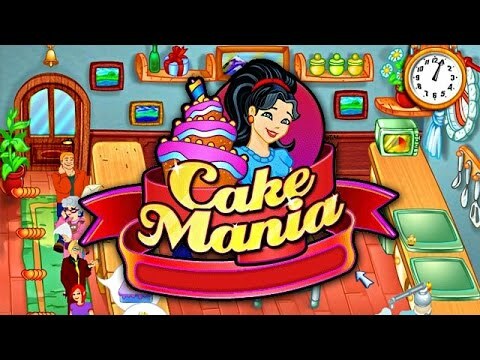 With 48 levels and four different bakeries, Cake Mania is full of mouth-watering fun. Ever since they first came out with Cake Mania, I fell in love! If you like anything to do with baking and cakes, this is the game for you. Jill has to get her grandparents' bakery up and going. It is a fun time management game for the whole family. Cake Mania is the only series I like of the Time Management games. That is why I want to play more and more. Superb series. I love this game. It's a great intro to the entire series and super fun to go back to basics! Thumbs up.